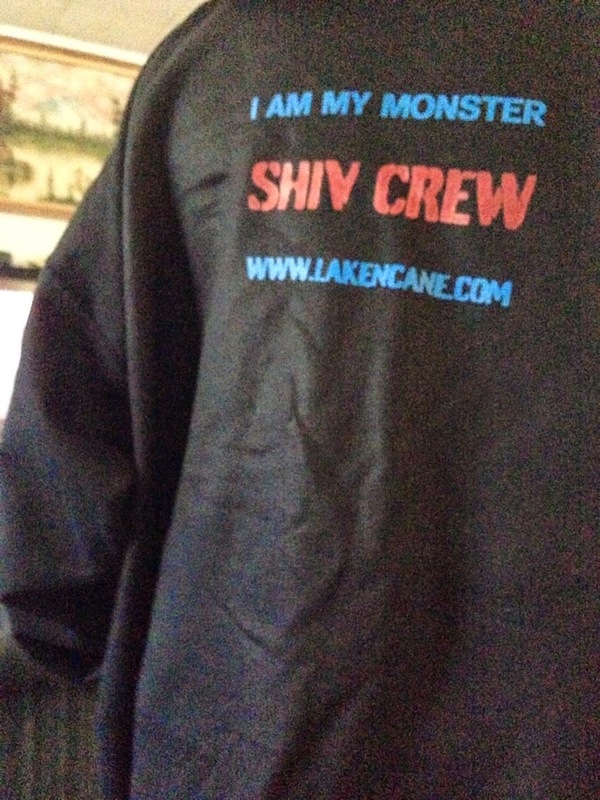 Shiv Crew is now available in print! The other three will be ready in a few days. 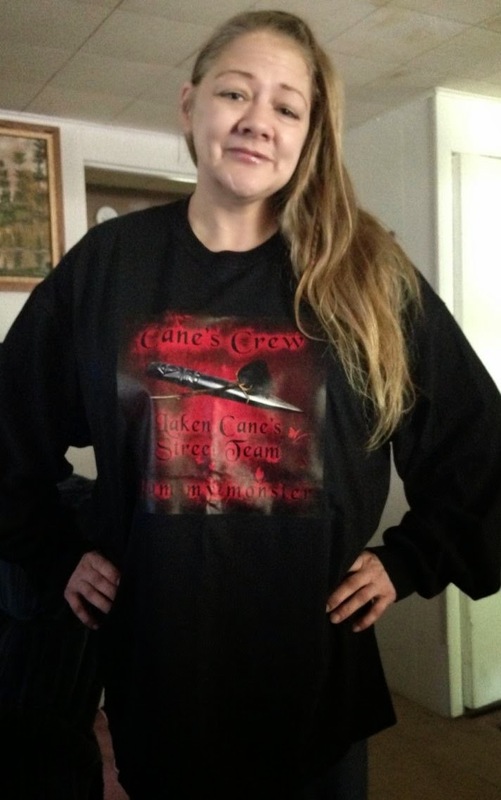 If any of you are fans who'd like to help get the word out about my books, come join my street team--Cane's Crew--on FACEBOOK. We'd love to have you! "I've said it once, and I'll say it again. If you're tired of books where the heroine is a simpleton who doesn't evolve or grow spiritually or mentally, then come to the darkside! We've got cookies, too! Meet Rune Alexander, captain of Shiv Crew, a group of bad mo-fo's (lol) who take on the uglies who go bump in the night. There's werewolves, vampires, and I'm not talkin sparkly ones, either. This isn't your normal girl...she's so hell bent on saving the world that she often forgets that she needs to save herself until it's too late! 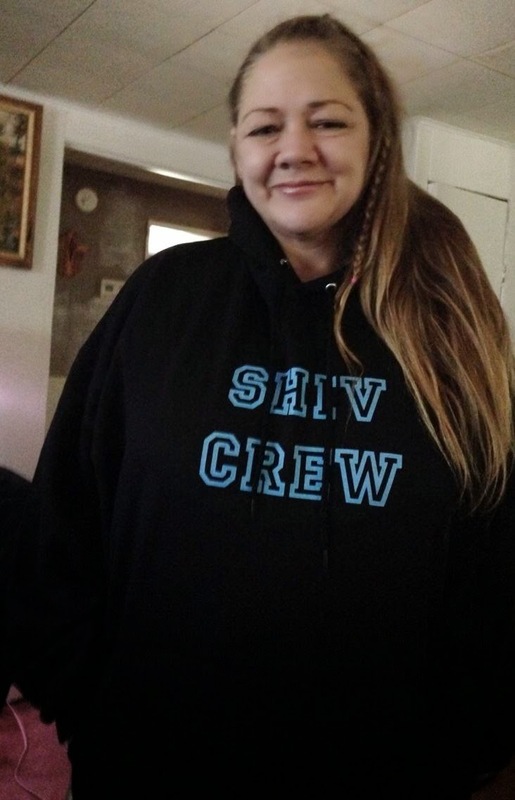 But, with Shiv Crew at her back, Rune beats down the uglies, her own fears and addictions, and always gets back on track...with a few more bumps and bruises to show for her efforts. I ABSOFUCKINGLUTELY love this series! 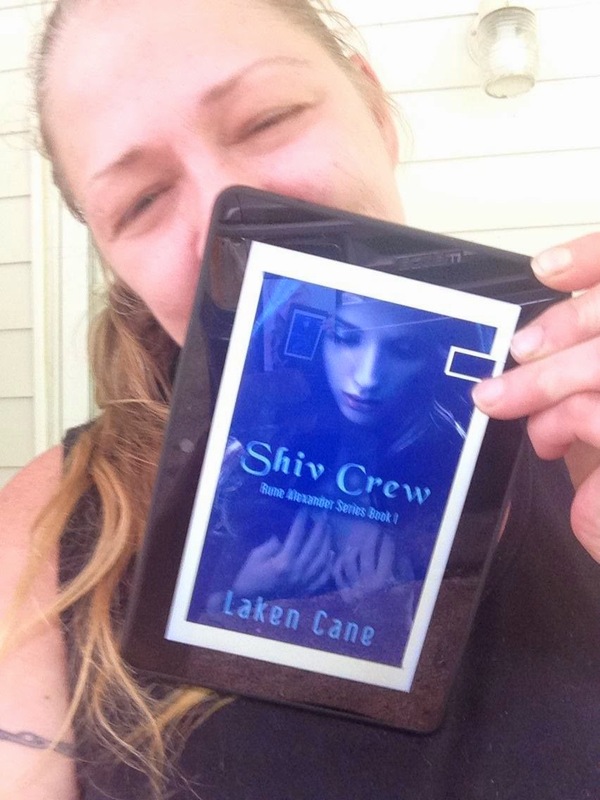 I have NEVER before thrown my support behind an author before, or well, AT ALL, until Laken Cane. This woman has it all. Humor, sarcasm, wit, charm, and throw in some depth...and you've got greatness. Hats off to you, doll. ♥ "
Also, Tammy sent me a fan picture! Click on the FANS tab at the top to see all the pictures I've received so far. She wrote, "I LOVE this series. You can read it over & over & still want more. 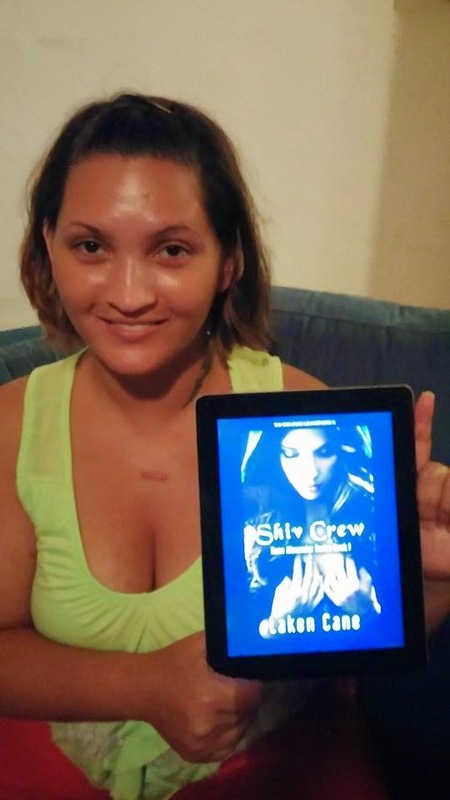 Full of action/emotion & keeps you on the edge of your seat!" This is from Dawn Anderson, an awesome, lovely, sweet member of my street team. You can find the other fan pics under the 'Fans' tab on the navigation bar at the top. Voting is up at the IRC. 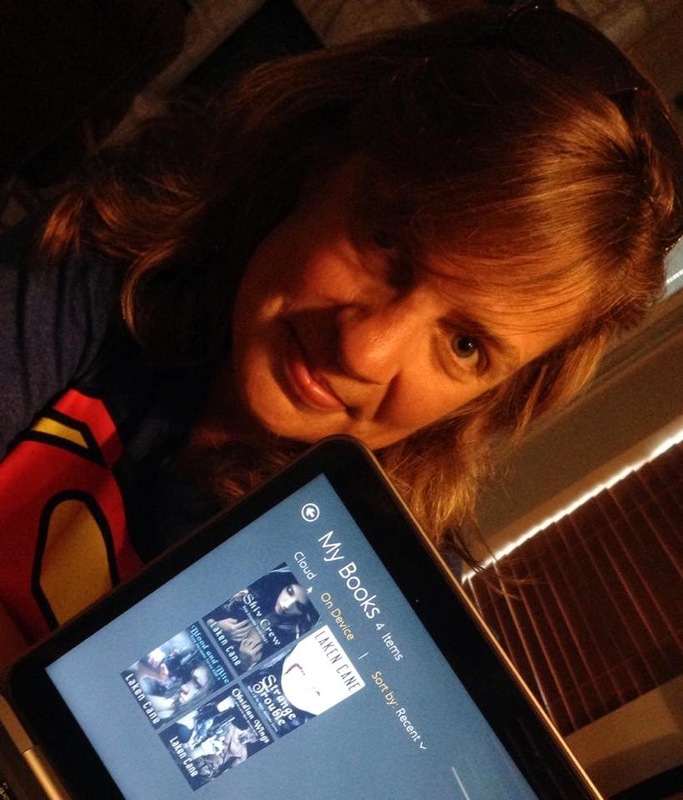 If you've read and loved the Rune Alexander books, I'm nominated under the category BEST UPCOMING SERIES. Today, THIS FB PAGE is doing a spotlight on me. Come over and say hello!